The BP Portrait Awards – the harriella project. 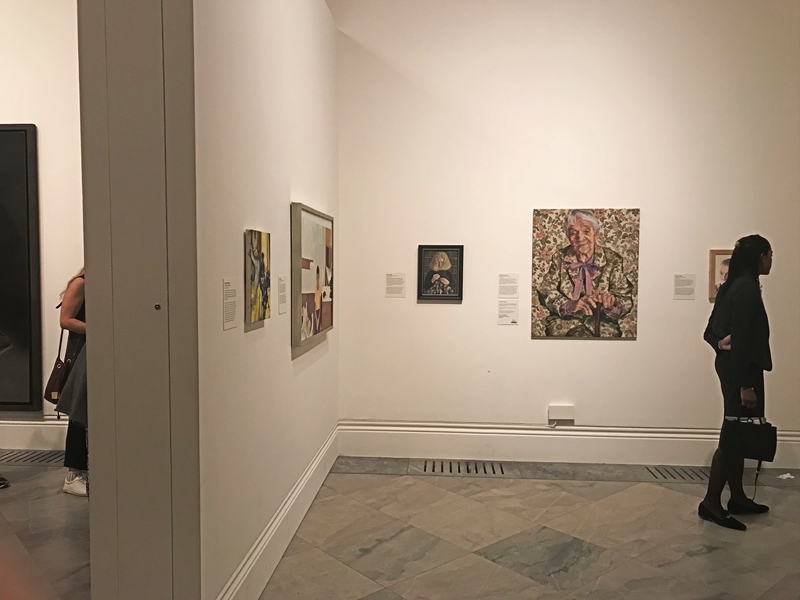 Yesterday I made my annual visit to the National Portrait Gallery near Trafalgar Square to see what the BP Portrait Awards has in store this year. As usual, I was not disappointed by the selection of artwork on display. I usually enjoy a visit to an art gallery, but what I love about the Awards in particular is its accessibility. It’s such an unpretentious exhibition and I never feel out of place or that I should be dressed in ankle-grazers and brogues to be there. All the portraits are arranged on big white walls in a relatively small section of the gallery, each with a little plaque explaining who the artist is and offering a bit of information about the work. 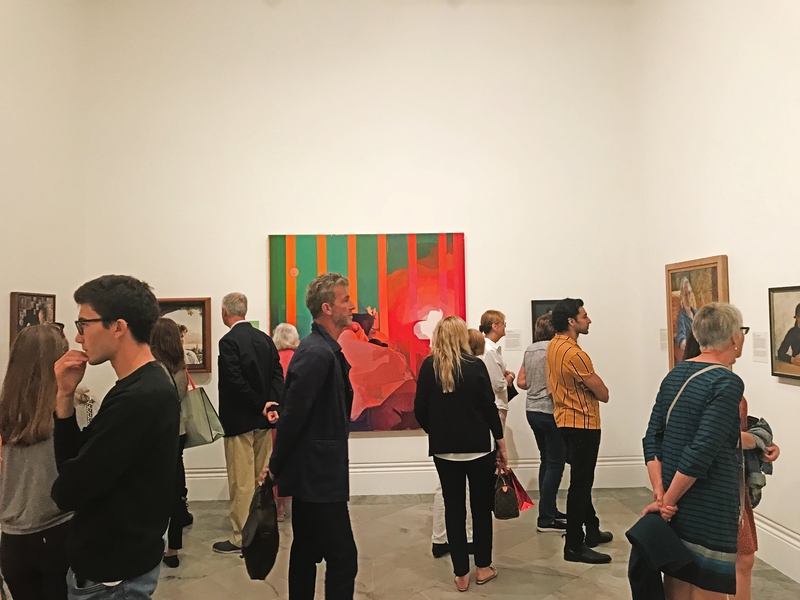 There’s just the right number of pieces for the space, meaning that even when the exhibition is busy, it’s easy to wander round at a leisurely pace and take in all the portraits. As it’s a Portrait Awards, there are prizes for first, second, and third place, which are displayed in amongst the rest of the works, along with a little plaque explaining why the judges thought a prize should be awarded. I really like the way this is done, as nothing is taken away from the portraits that didn’t win. One thing I would say, though, is that the winners are usually interspersed amongst the others so one wall doesn’t get clogged up with onlookers, whereas this year they were all next to each other, so it did get quite busy. I think the exhibition was a bit smaller than usual, but, as my Dad pointed out, the standard seemed to be slightly higher than it has been before. I’m not quite sure whether I can justifiably say that really, as I’m definitely no expert, but overall there were less portraits that I wasn’t keen on. While I find those that look most like photographs very impressive, I often prefer the ones that have a surreal composition, or maybe feature a particularly interesting subject. I like the way that a painting can sometimes portray more than a photograph. 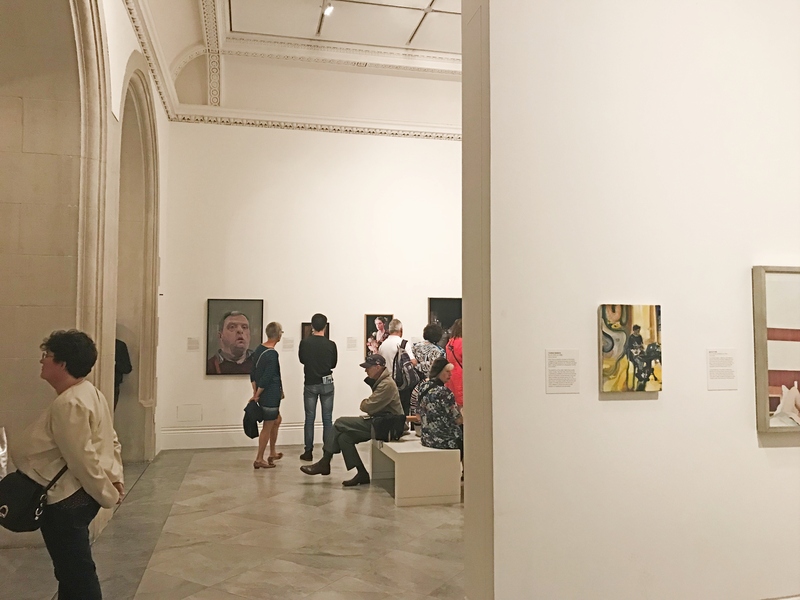 So, if you’re around in central London before the 23rd of this month, why not visit the National Portrait Gallery and have a look for yourself? Admission is free, so you really don’t have anything to lose, except maybe half an hour of your precious time!